Evolve IP’s Virtual Desktop Solution frees your business from the endless cycle of purchasing, supporting, upgrading and ultimately replacing local PCs by providing an untethered “virtual” workspace that can be accessed from anywhere, at any time, on a variety of devices for a predictable monthly fee. By leveraging a Virtual Desktop Infrastructure (VDI) from VMware, IT managers are freed from the need to “touch” each desktop for support or delivery of new applications, saving your staff time and keeping your employees productive. And since all of their “work” is being done in the Evolve IP Cloud, you can extend the usable life of your older computers, replace them with inexpensive thin clients, and even provide secure access from Home PCs and iPads. 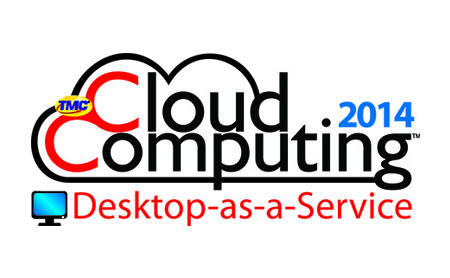 Download our complimentary Virtual Desktop Decision Guide here! Simplicity: Lock down your old PCs, point them to Evolve IP’s Virtual Desktop and we take care of the support, routine upgrades, backups, and virus protection for you. Economics: Reduce the total cost of desktop ownership by almost 70% through remote troubleshooting, ease of deployment, and extended life of older equipment. Productivity: Users can gain access to their Virtual Machine from any location on any device, while administrators can support and deploy from a centralized location. Scalability: Meet new requirements by adding additional resources to the “virtual” PC rather than upgrading expensive equipment. Performance: Immediately rectify PC problems by remotely restarting, or reimaging the desktop saving IT time and putting employees back to work immediately. Control: Enjoy unmatched control and point-and-click configuration over all services through our award-winning OSSmosis Portal. Security: Provide external users with secure access to company apps and data. Enforce end-to-end security, consistently, across all users, regardless of device.